After the euphoria of last week and feeling pretty good I came down with a bug and have been a sofa sloth for the best part of a week. I was itching to get outside at the weekend and although not well enough to do a big walk we decided some fresh air might do me some good. 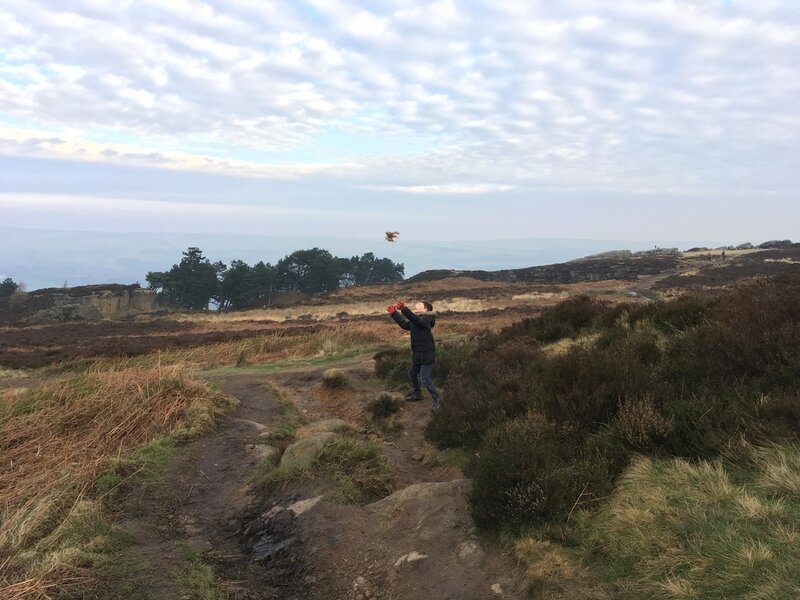 My eldest had asked if we could visit Ilkley Moor and the Cow and Calf rocks, I think this is because he knows there’s lots of places he can leap about and streams to dip feet in. He seems to be the one that needs most persuading to go out for a walk (although once out he loves it) so when he suggested somewhere I was happy to go with that. It’s also not far from family so if the weather turns nasty there’s somewhere near to retreat to! 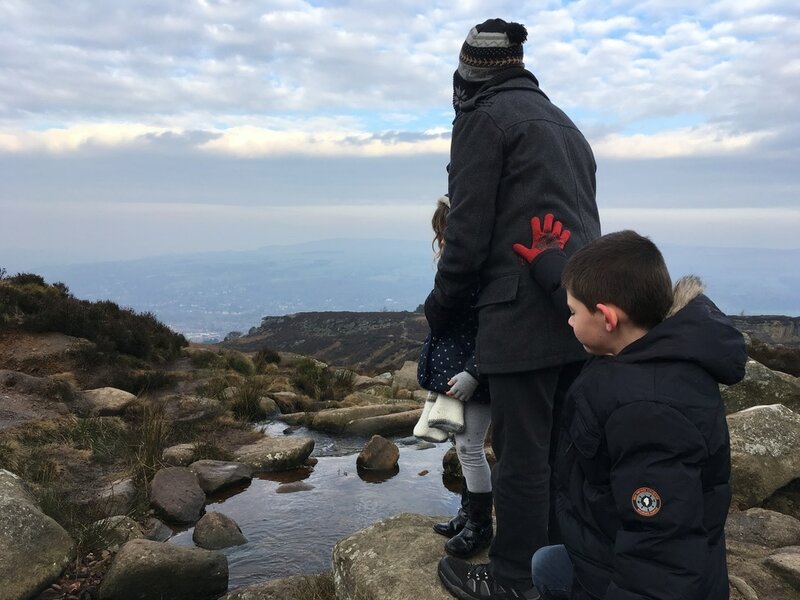 We had a great time exploring different paths and letting the kids stand on the smaller rocks and without too much wind it was nice to get some fresh air. Unfortunately, it was a bit misty so we couldn’t see for miles like you usually can up there. Despite it being a bit frosty my Daughter still managed to get covered in mud. After our walk we treated ourselves to hot chocolate and warm pasties in the café in the carpark. With blankets and heating lamps we were nice and toasty. 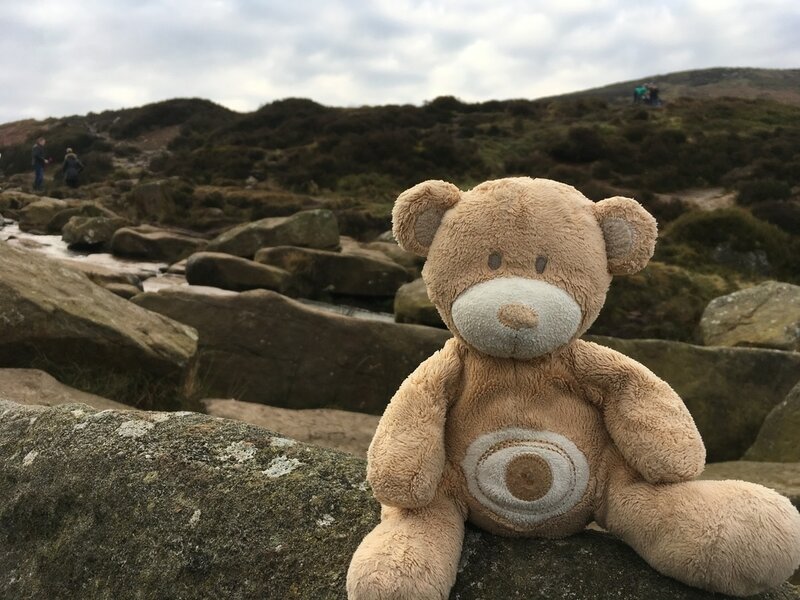 I grew up in this area and when I was little and visited Ilkley Moor there was just a carpark and no facilities unless you went up the road to the pub! Great to get outdoors for a bit but I’m looking forward to getting out and doing some bigger walks. Bug be gone! 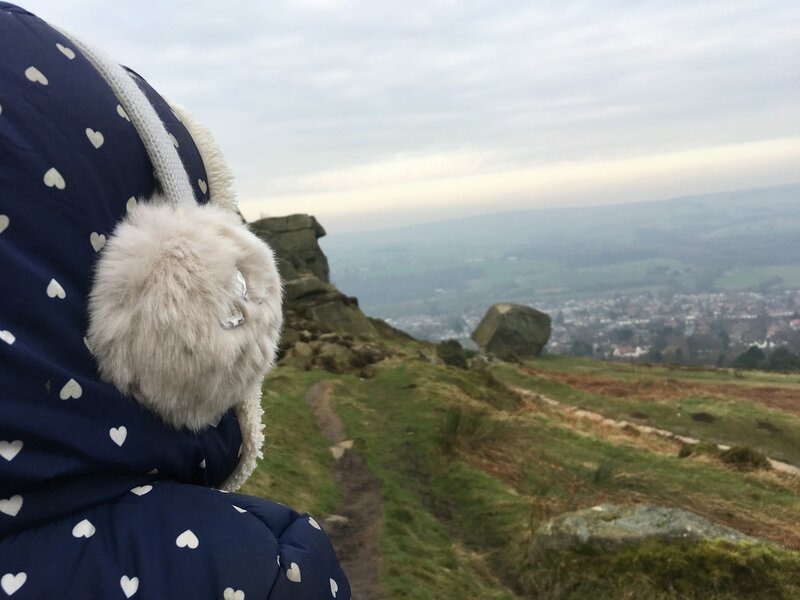 Do you let your kids choose where to walk? For more photos or to join in the chat pop over to my Facebook Page. 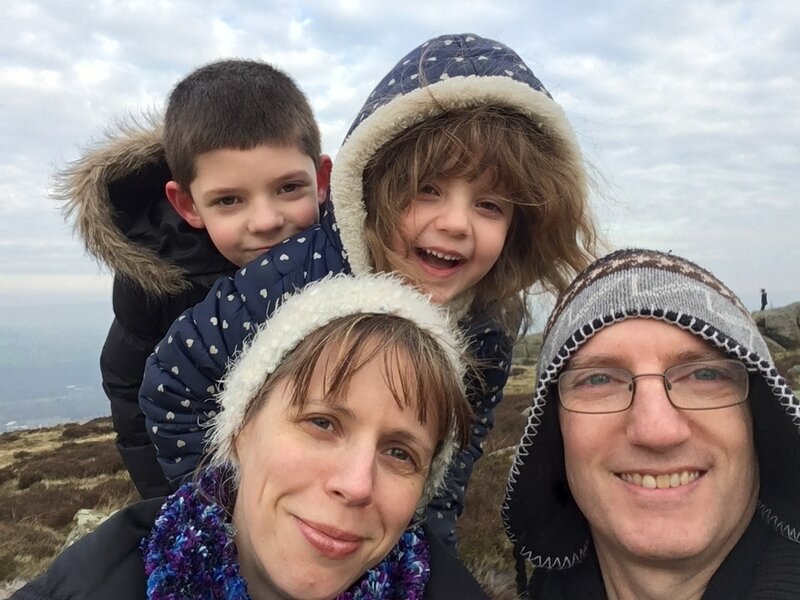 Ah lovely photos, I love a good walk with the kids. They seem to love it too and happily explore different places. 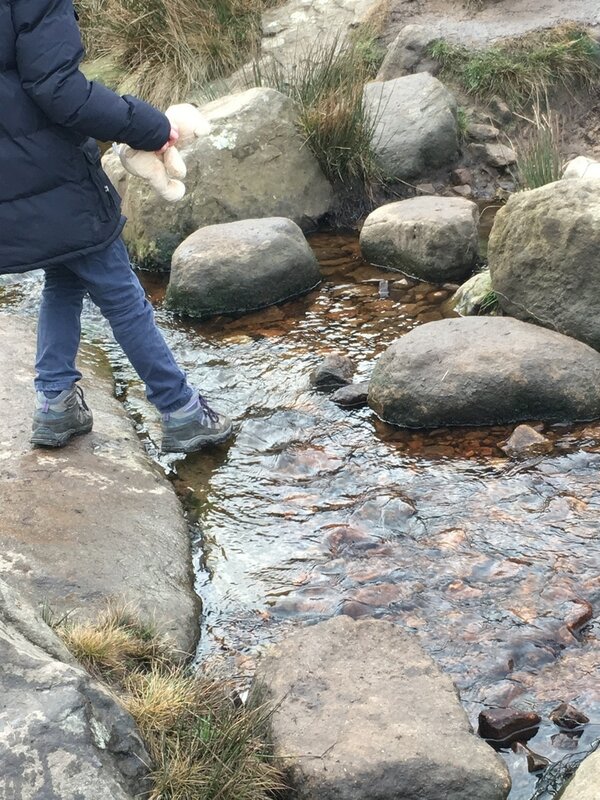 How cute is the teddy on the rocks! 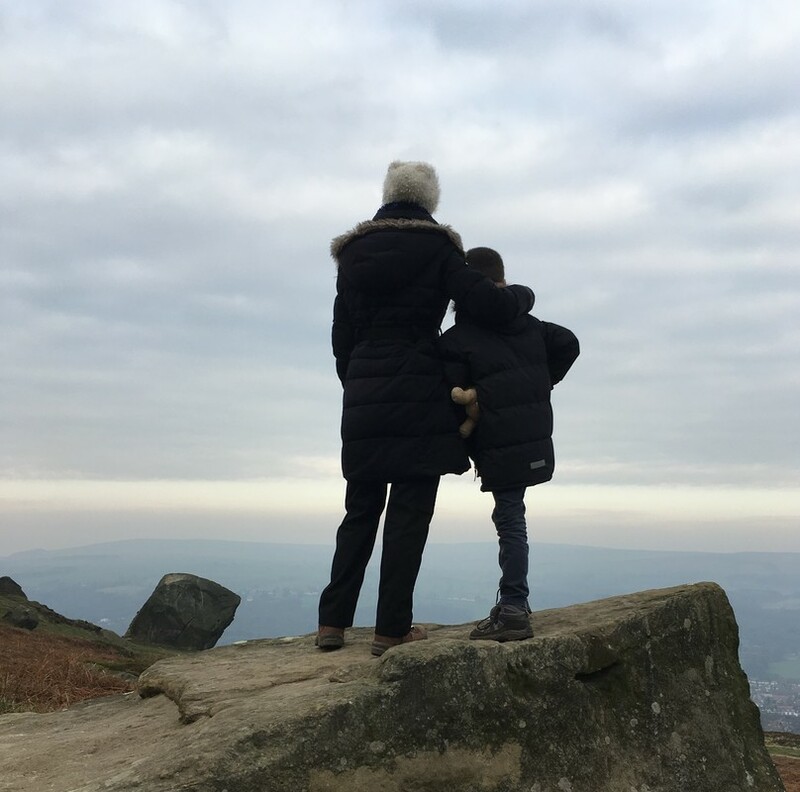 It’s always fab when the kids suggest a walk somewhere, I always try to go with them if they suggest it to encourage them to go out. 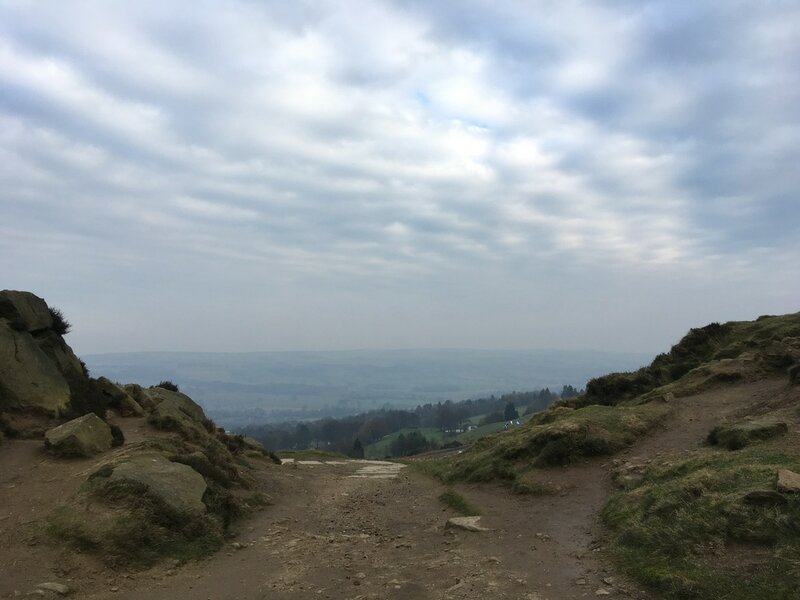 Ilkley Moor looks like a fab place to explore, it’s a shame the weather wasn’t clear enough to see for miles. It looks like you all had a wonderful time and pasties and hot chocolates in the cafe sounds like the perfect way to finish off your walk. Thanks Fiona. I’ll have to let the kids decide more places to walk I think and keep up the enthusiasm. Thank you Karen. Its great to get the kids thinking of places but sometimes they request Mexico or Legoland and we can’t do that! Thanks Jonny I’m feeling a lot better. Glad to hear you get your kids involved too, I wish we had forests a bit nearer.